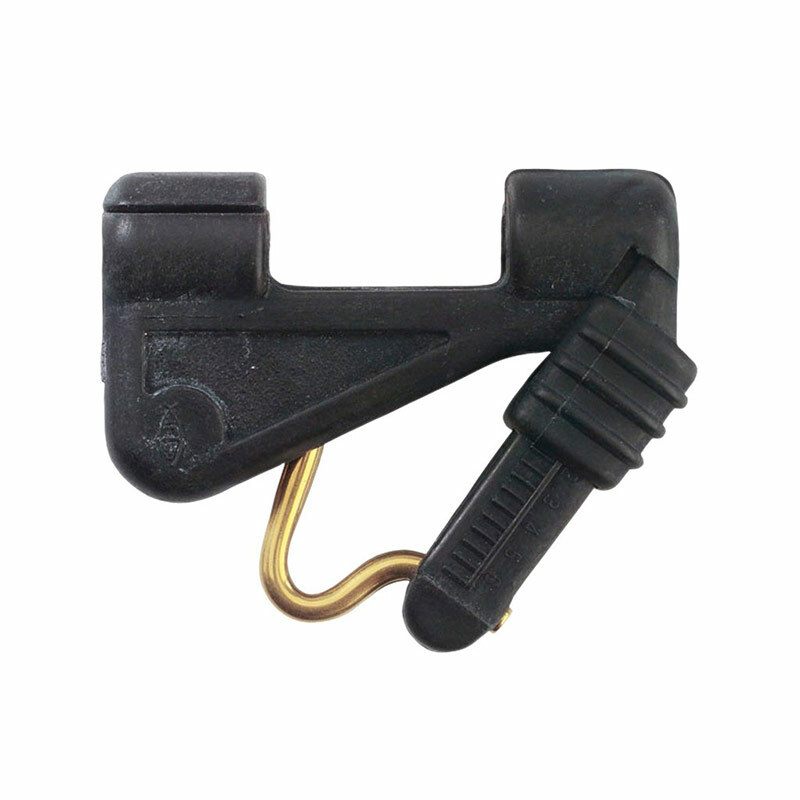 Purpose designed downrigger release clip with a precise tension-adjustment slider. 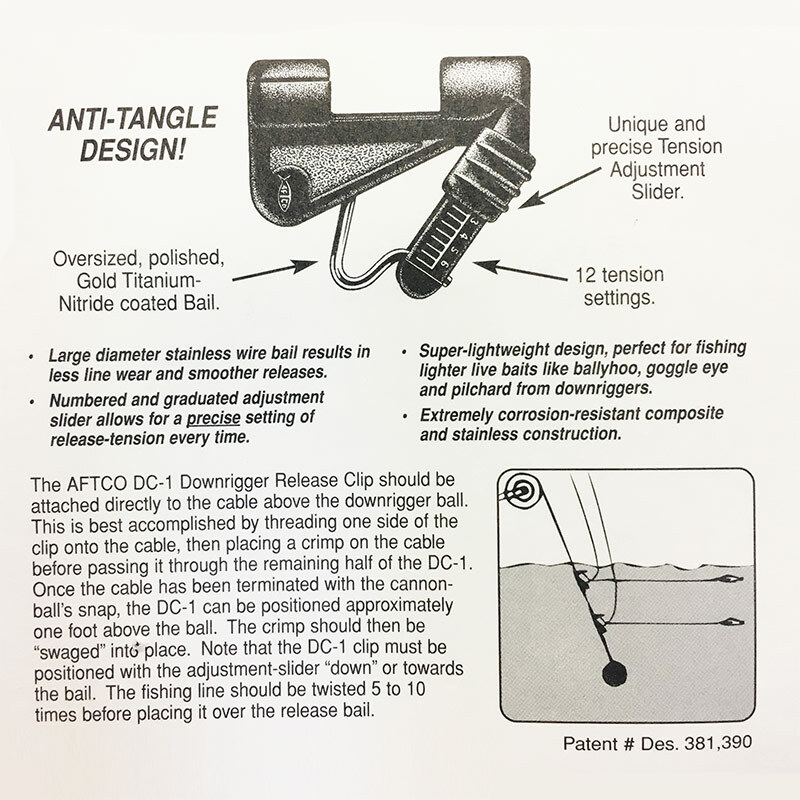 The Goldfinger Downrigger release clips have the same features as the Outrigger Clips, except that the stainless bail is not gold titanium-nitride coated, and should be attached directly to the cable above the downrigger ball. 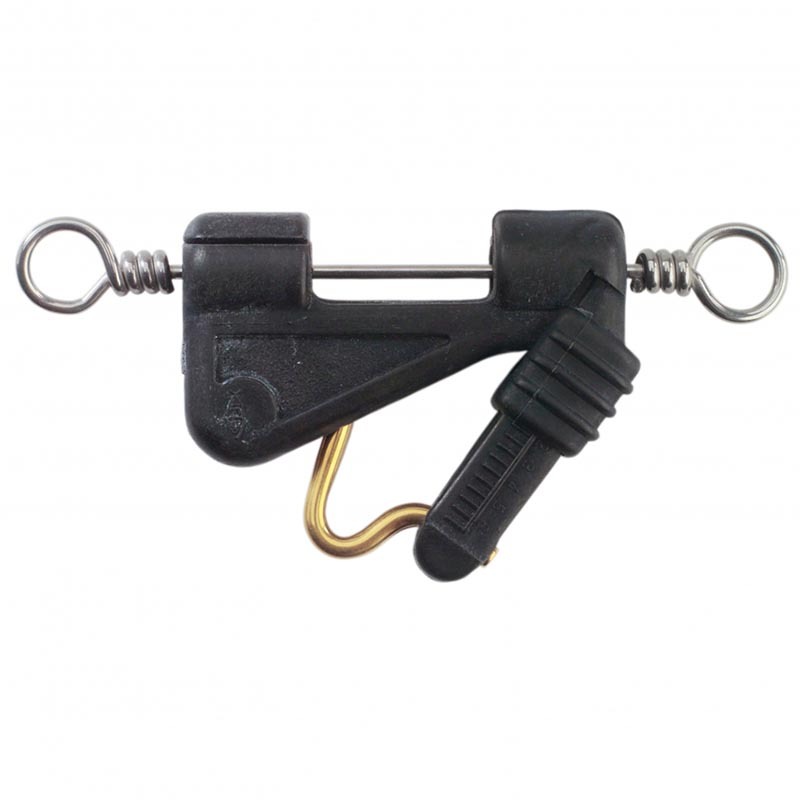 This is best accomplished by threading one side of the clip onto the cable,then placing a crimp on the cable before passing it through the remaining half of the clip. 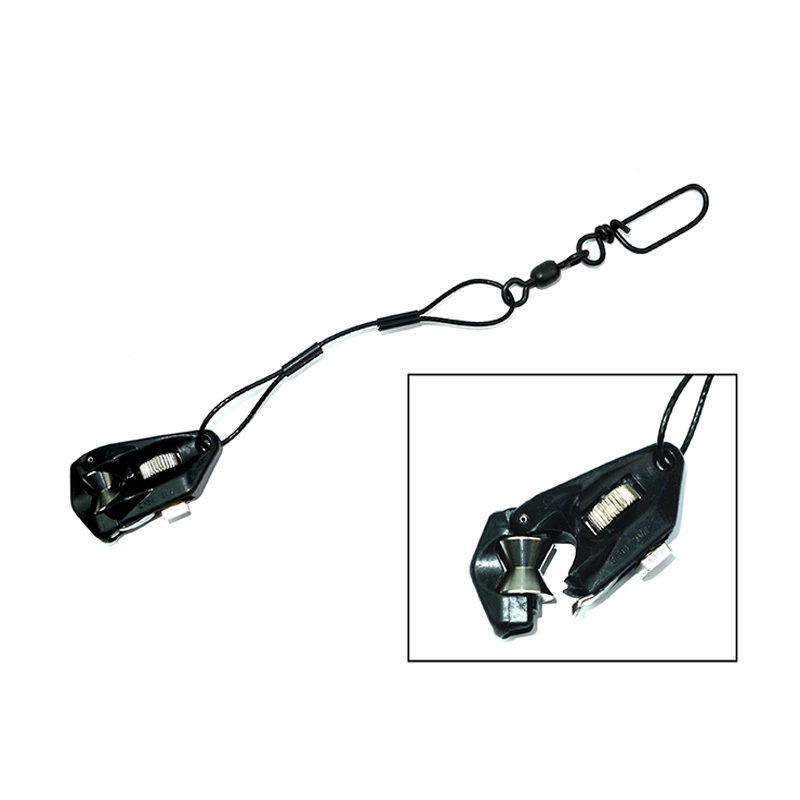 Once the cable has been terminated with the cannonball's snap, the clip can be positioned approximately one foot above the ball. The crimp should then be "swaged" into place. 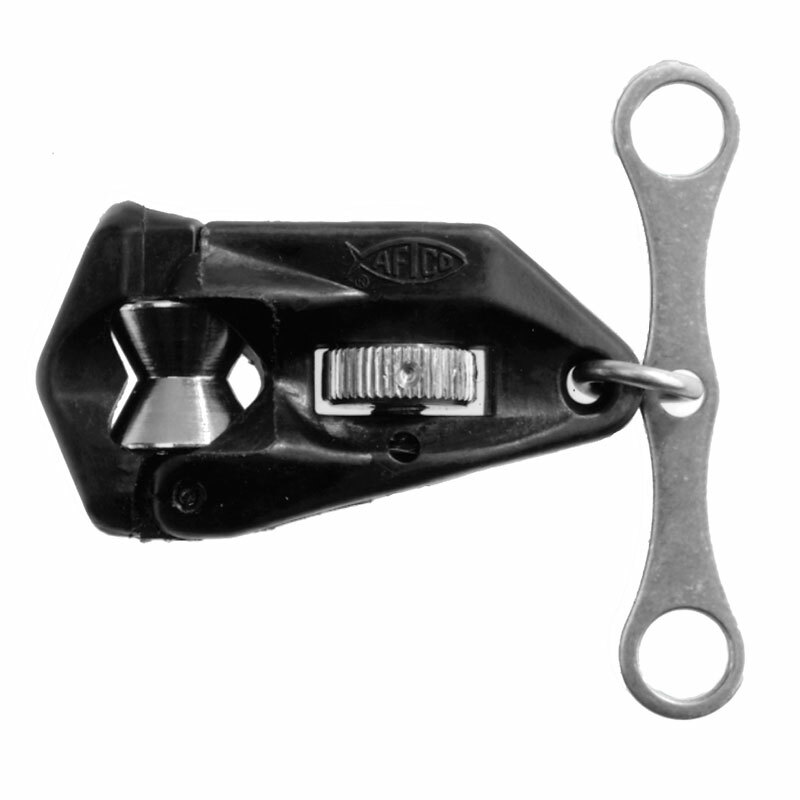 Note that the clip must be positioned with the adjustment-slider "down" or towards the bail. The fishing line should be twisted 5 to 10 times before placing it over the release bail.